The Itascatur Outdoor Activity Club is formed to promote physically healthy, non-motorized outdoor recreational activity in the Hubbard County area. The Headwaters 100 ride will be held Saturday, September 28, 2019. The Headwaters 100 is Itascatur’s premium event. Every year we have hundreds of cyclists from all over North America join us in beautiful Park Rapids, MN to tour the spectacular fall colors. Itascatur is utilizing a new sign up partner this year: SignMeUp.com. You’ll be able to create a profile at SignMeUp.com using your Facebook or Yahoo! login. The Headwaters 100 always falls on the 4th Saturday in September. Mark your calendar for this year… and many years to come! 100 mile ride: Follow well-marked routes through our beautiful lakes area leading you to Itasca State Park. A short hike will lead you to the Headwaters of the mighty Mississippi. The ride will follow Wilderness Drive through the park, then will proceed through Lake George, Emmaville, Dorset and Nevis; then will follow the beautiful Heartland Trail back to the finish at the Century School in Park Rapids. 75 mile ride: This route will lead you through Itasca State Park, continue on Wilderness Drive through the park, then follow the course back to the Century School by way of Lake George, Emmaville, and Dorset. The ride will finish on the Heartland Trail. 45 mile ride: An ideal ride for bikers desiring a shorter route. A beautiful ride through Emmaville, Nevis and back to the finish at the Century School. We encourage leisurely tourers to start early. Riders leave any time after check-in, but must leave by 9:00 AM in order to pass through food stops before they close. Itascatur asks that you follow the rules of the road when cycling. Minnesota law gives bicyclists the same rights and privileges as drivers of other vehicles. Cyclists must be familiar with and obey all traffic laws applying to using the road. Ride as close as practicable to the right-hand curb or edge of the roadway, except when passing, preparing for a left turn or avoiding objects, other vehicles or pedestrians. Travel in the same direction as other traffic on the roadway. When riding on a sidewalk or in a crosswalk, yield the right-of-way to pedestrians and call out to them when preparing to pass. Ride no more than two abreast and do not impede traffic. For the full text of Minnesota Bicycle Traffic laws, please visit Revisor.mn.gov – 2018 Bicycle Statutes. As always, you’ll find friendly volunteers from beginning to end. We look forward to seeing you! Refreshments are included in registration. Food and Beverage stops will be located along the course. Facilities will be located at start, food stops, and finish line. Click here to download a PDF of the 2018 Headwaters 100 route! 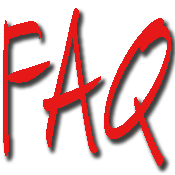 We’ve compiled a list of the most frequently asked questions here: Headwaters 100 FAQ.